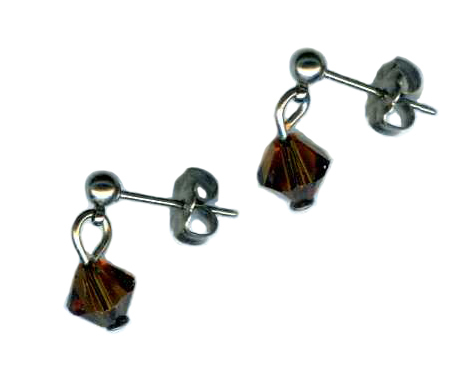 These titanium post earrings are hypoallergenic. 100% titanium, our earrings are suitable for the most metal sensitive ears. 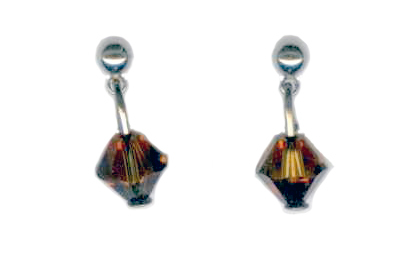 Delicate Smoked Topaz Swarovski crystal drops are suspended from post. The ball is 3mm in diameter, the crystal is 6mm.